Poultry farmers should be particular aboout poultry layer farming management, because the more careful management will be taken, the more efficient recompence will be repaied for poultry layer farming. 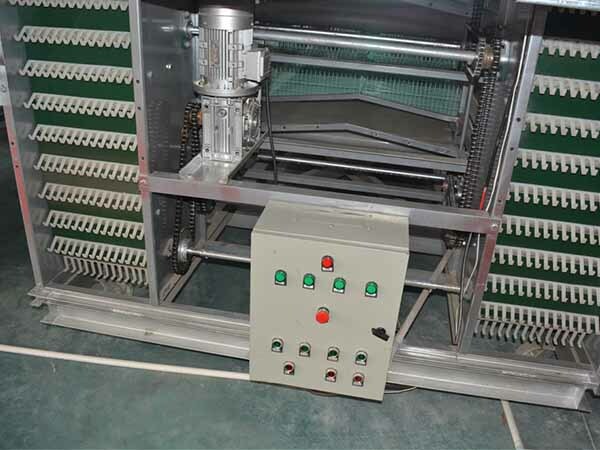 In China, Zhengzhou Livi Machinery Manufacturing Co.,Ltd has equipped with world-class poultry management system and other automated poultry rearing equipment systems. Poultry farmers can control the poultry feeding system, poultry drinking system, poultry manure removal system and climate control system by the self-service terminals without going to operate the system one by one personally thus lower the cost on labor and save unnecessary manpower. There are some notifications for farmers about poultry layer farming management. First, on the fifth day, the rate of old chicks choking has been basic stereotypes, if you want to lower the rate of it, just pick up superior quality of layer chicks, and keep up the stable temperature. Then, on the thirty-fifth day of laying hens, you must pick out the poor quality of the flocks fed alone, and add good nutrition, at this time the degree and weight determine the late egg production, egg size, peak time, Eliminate the number of chickens and so on. Proposed program: singled out of the chicken breeding alone, the larger the difference may be appropriate to add light to promote food intake. Also, laying hens on the 80 days of laying hen laying hens ovaries and fallopian tubes began to develop when the most susceptible to bacteria such as pole, Salmonella, resulting in laying hens oviduct and ovarian dysplasia and tubal intractable inflammation, thus Leading to late peak is not high, the shell quality is not good, tubal inflammation should not be eliminated and many other phenomena. Zhengzhou Livi Machinery Manufacturing Co.,Ltd can give you best poultry farming equipment cages and poultry layer farming management, please contact us for more details of poultry farming.